A Christmas Story is a Comedy movie starring Peter Billingsley, Darren McGavin, and Melinda Dillon. The movie was directed by Bob Clark and released by the Metro-Goldwyn-Mayer (MGM) studio on 1983-11-18. The movie has an MPAA Rating of PG (Parental Guidance). Our users found the overall impression of this film to be Happy. 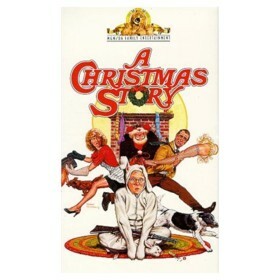 The movie's official site can be found at www2.warnerbros.com/achristmasstory. This is one of the best Christmas family movies ever and directed by the late great Bob Clark! My children love watching this every year over and over again. The characters are all lovable and believable. The basic plot involves a young child named Ralphie who wants a Red Ryder BB gun for Christmas. Ralphie encounters various obstacles on his quest to get this BB gun...namely his mother who lets him know over and over again that he will "shoot his eye out". Throughout the film he encounters a few villains such as the neighbourhood bully Toadie and an evil Santa Claus at the mall. His younger brother and friends also play a role in the film..mainly as various humourous characters to enjoy. This movie is great...especially showing what happens to his family on and before Christmas day...the narrator is amazing (Jean Shepherd)and tells the story from Ralphies point of view perfectly. This is a very funny and enjoyable film and I recommend it as the perfect Christmas movie for the family.